Her efforts at China Cup were outstanding. The team finished as runners up in the tournament and Joyce contributed immensely in helping the team achieve this result. She led the team on rebounding and steals as well as scoring consistently in every game. This effort, combined with her excellent attitude adds up to a tournament Joyce should be extremely proud of. In the boy varsity's two wins at China Cup Jeff Lee dominated the game and owned the paint area. He averaged 20 points and 12 rebounds and 2 blocks a game. Yurina Roche earns this week's athlete of the week nomination. She played some incredible defense at China Cup, including the tough assignment of guarding Lindy Chang from ISBeijing. She was able to neutralize Lindy during both games, and paid the price with lots of bumps and bruises. 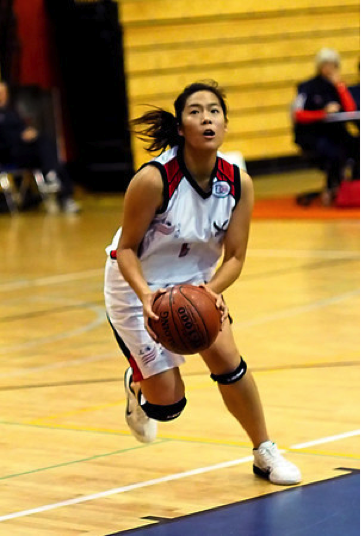 Moreover, Yurina led the way defensively as SAS made its way through victories against both HKIS and WAB. She was a leader on the floor with her play on the defensive end, and SAS will need this defensive intensity to make some noise at Super APAC. It would have to be Minnie Wu who finished first in the team event and first in the singles of the Girls table tennis at China Cup last weekend. In fact the whole team won the team event and we took first, second (Savannah Wu) and third (Cecilia Chu) in the singles. He is the starting point guard for the undefeated freshman team and he has been rock solid leading this team. Jane continues to be a force on the basketball court. She is averaging a double-double for the season in points and rebounds. She is first on the team in rebounds, second on the team in points, and third on the team in steals. Bobby averaged 14 points, 5 rebounds and 3 steals over the weekend leading the Varsity Boys Basketball team to two close victories. As always, Bobby also showed tenacity on defense, covering the opponents best player during both games. on the court with her aggressive play, and anchors a strong 2012-2013 basketball team. 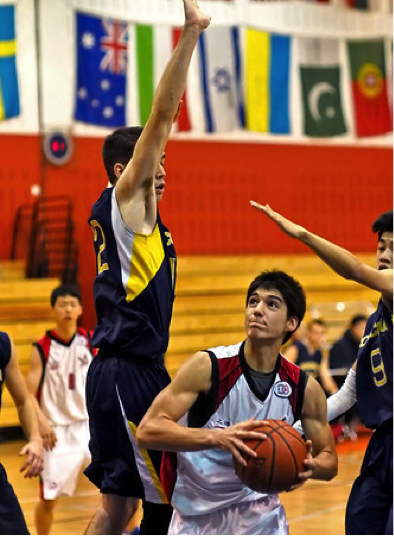 Jason led the Eagles boys varsity basketball team to the Shanghai Cup Championship over the weekend. Jason was the most dominant performer at the tournament averaging 16 points, 6 steals, and 5 assists a game while leading the Eagles to a 3-0 record against SMIC, Corcordia, and Pudong. The whole team is working hard and they love to learn the game but Spencer had a great weekend. He is a strong presence on the court, showing defensive and offensive leadership. He shot a last minute floater to take the first big game into overtime then made a key block and free throws in the overtime to lead the team to victory. Leads the team in rebounds and efficiency, second on the team in points.